MINNEAPOLIS, Sept 14 (Reuters) – U.S. law enforcement is investigating a new phenomenon of women from the American heartland joining Islamic State as President Barack Obama vows to cut off the militants’ recruiting at home. At least three Somali families in the Minneapolis-St. Paul area have female relatives who have gone missing in the past six weeks and may have tried to join Islamic State, said community leader Abdirizak Bihi. He said that while the reasons for their disappearance were unclear, he had told the families to contact police. Home to the biggest Somali community in the United States, the Twin Cities area of Minnesota has been plagued by terrorist recruiting since the Somali group al-Shabaab began enlisting in America around 2007. This year, law enforcement officials say they learned of 15-20 men with connections to the Minnesota Somali community fighting for extremist groups in Syria. They included Douglas McAuthur McCain, a convert to Islam, who was killed in battle this summer. The St. Paul woman is the first case of an area female joining IS that has been made public although her family have asked for her name to be kept private because it fears retaliation from Islamists. The St. Paul woman is highly likely to have been recruited by IS through Islamist sympathizers in the United States, rather than joining the group on her own, they said. At least one other woman is suspected of helping her leave the United States. Another U.S. teenager, nurse’s aide Shannon Conley, 19, from Colorado, pleaded guilty this week to trying to travel to the Middle East to enroll in IS. She was arrested at Denver International Airport in April with a one-way ticket and had been recruited online by a male militant in Syria. Nipping domestic extremism in the bud before Americans try to join terrorist groups is part of Obama’s strategy against Islamic State announced in a televised address last week. He said authorities would offer “tailored domestic programs to prevent violent extremism and radicalization” but gave no more details. The Somali woman from St. Paul who traveled to Syria attended a mosque near the eastern bank of the Mississippi River which had previously attracted suspected extremists. In June, the mosque banned an Egyptian-American man it said was spreading radical ideology. The woman told a relative after leaving the United States that she wanted to help children in IS-controlled territory in Syria. “The nature of the recruitment of these crazy organizations is how they use the element of surprise. Now they have surprised us again by going for the girls,” said Bihi, speaking about the St. Paul woman who he said was targeted by recruiters. Bihi’s teenaged nephew was killed in Somalia in 2009 after being persuaded to join al-Shabaab while in Minnesota. While foreign women who join Islamic State often envision aiding a holy war or at least playing an active role in establishing a purist Islamic nation, the reality can be more mundane. Monitoring of extremists’ social media accounts and other writings shows that male jihadis regard women counterparts as little more than mating partners, said Mia Bloom, from the Center for Terrorism and Security Studies at the University of Massachusetts Lowell. “ISIS is recruiting these women in order to be baby factories. They are seeing the establishment of an Islamic state and now they need to populate the state,” Bloom said. Scores of European Muslim women, mostly from Britain and France, have joined IS in the Middle East. 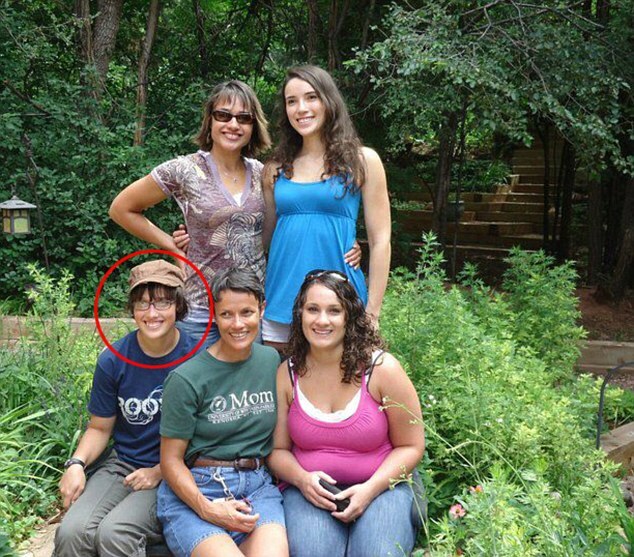 Denver teenager Conley became engaged to an Islamic State militant in Syria who she met online. Jihadist groups like al Qaeda and IS usually only put women near the frontline in emergencies, Bloom said. Some young foreign women have been deployed to Islamic State checkpoints in northern Syria where they pat down other women to search for weapons and force local females to abide by strict Islamic dress codes. But snapshots on social media of the female jihadis’ lives in Syria more often show that, “the girls go around making cookies. It’s almost like a jihadi Tupperware party,” Bloom said. The main worry for law enforcement is that U.S. militants will one day return to the United States and attack targets.